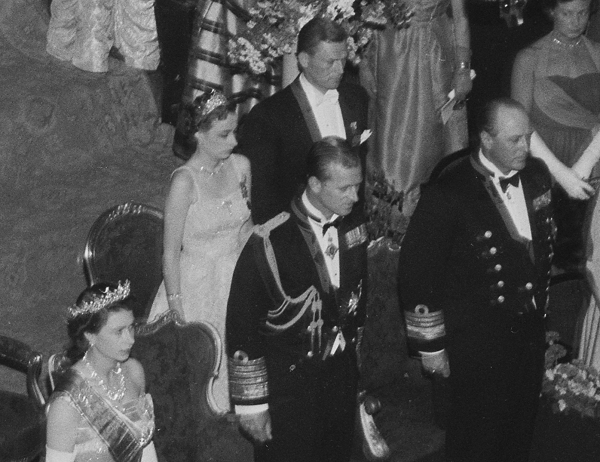 In the photograph above, taken about the time of Olav and Märtha's wedding, you can see Märtha's left hand resting on the Vasa Tiara, which sits in its case among her wedding gifts. The new Norwegian crown princess wore her new tiara on a regular basis, and she also loaned the Art Deco sparkler to her two daughters, Ragnhild and Astrid. 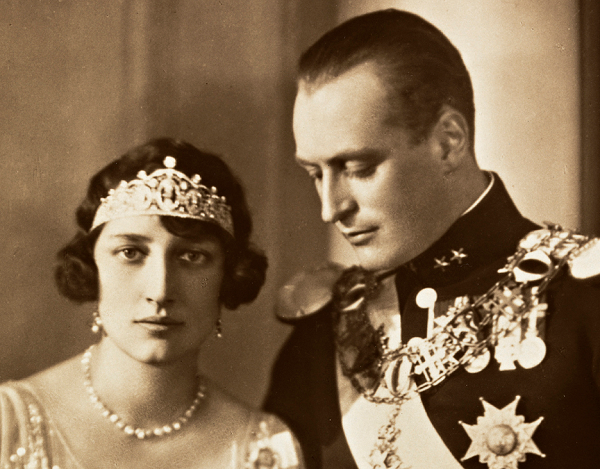 The tiara was originally intended to be one of those fashionable 1920s forehead bandeaux, as you can see in the portrait of Olav and Märtha at the top of this post. Thankfully, it transformed nicely to a more traditional "top of the head" tiara. Crown Princess Märtha never became Norway’s queen. 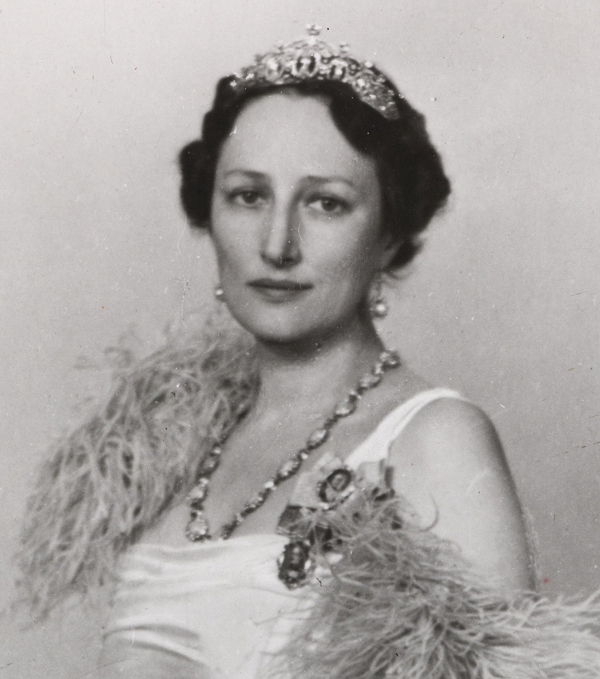 She died of cancer in 1954, and her children officially divided up her jewels (and those of the late Queen Maud) several years later, after King Harald married Queen Sonja. Astrid was the lucky recipient of this tiara. But Trond Norén Isaksen has noted that Astrid essentially treats the piece like a lifetime loan. She plans to have the diadem returned to the royal vaults after her eventual death — hopefully at a time far, far in the future.